Elastic straps with metal clips.Fastens to cover on the underside of the board.Eliminates slipping and wrinkling of covers.Set of Four. 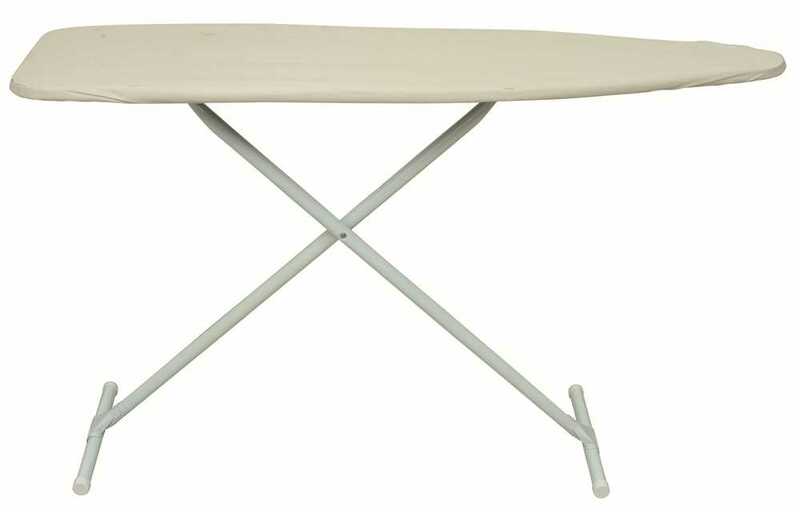 The Homz ANYWHERE Countertop Ironing Board offers the best of both worlds! 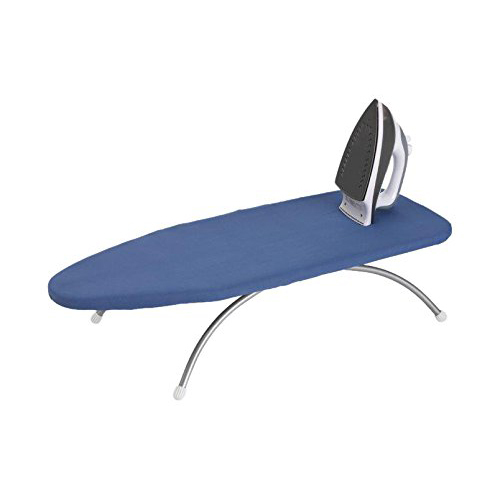 It is completely portable and easy to transport for use anywhere yet the top ironing surface is 15% larger than most countertop boards. Use it on the counter floor sofa or any other living area of your home. 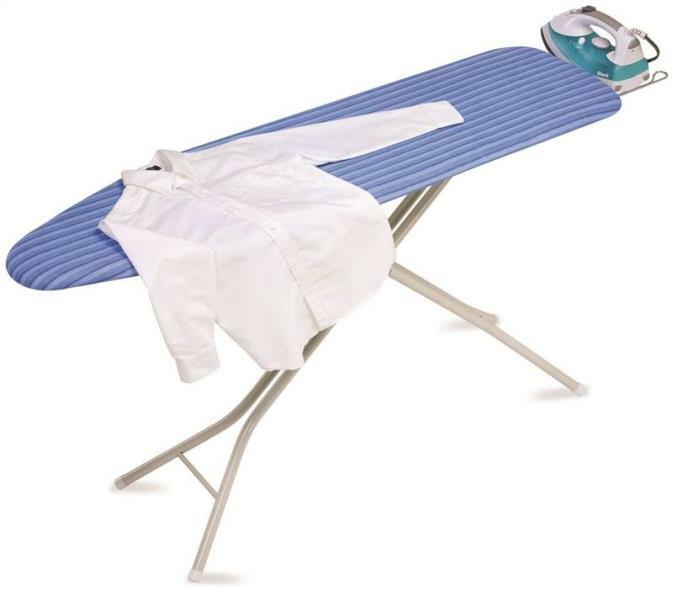 You no longer need to be locked to one area to do your ironing - bring it out and move it anywhere to work! 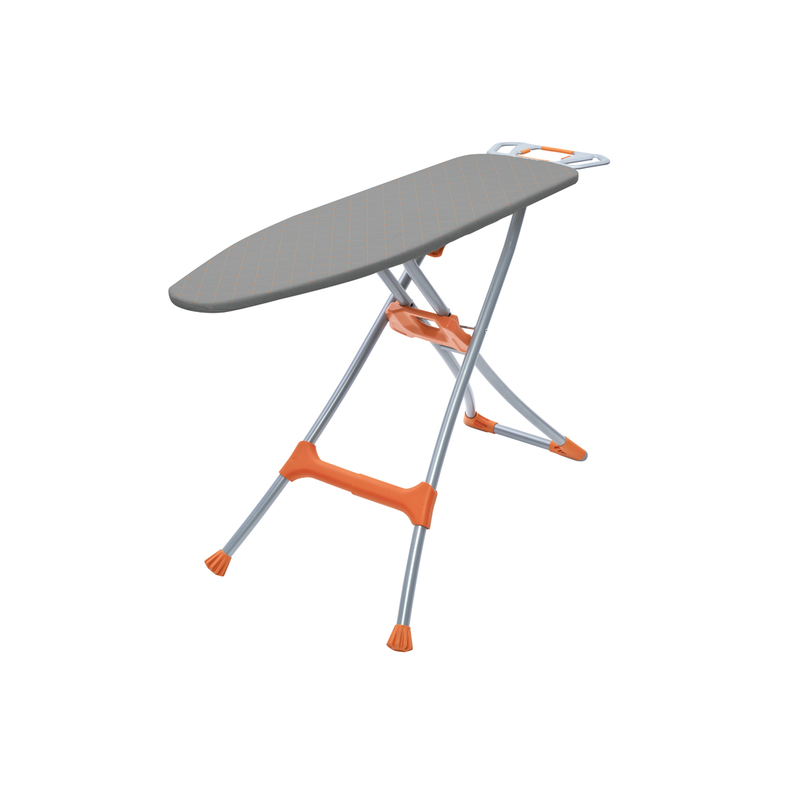 The feet fold flat for compact storage when not in use. There is a convenient hanger at the top of the board for hanging on a closet dowel bar. Blue. This item cannot be shipped to APO/FPO addresses. Please accept our apologies. 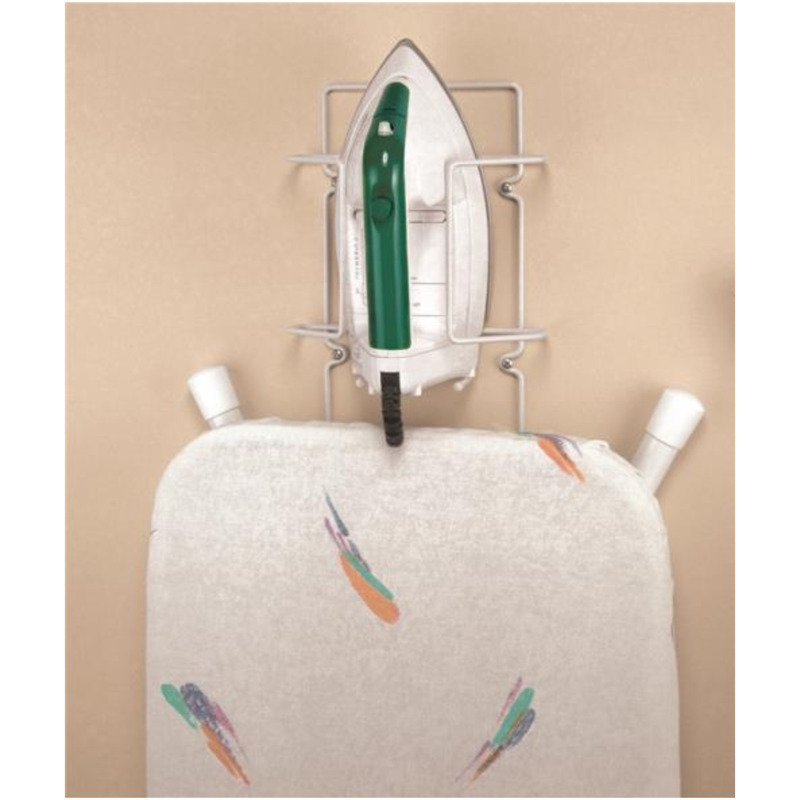 Homz Over-The-Door Ironing Board installs quickly on standard 1-3/8" doors (no tools required). 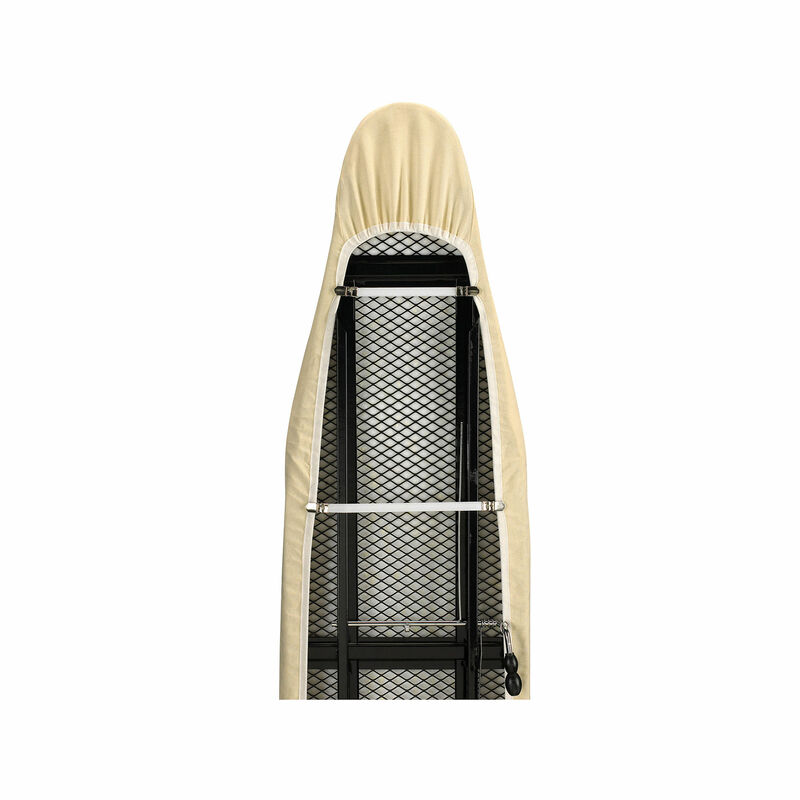 The 42" x 14" ironing surface is a mesh top for improved steam flow with bumpers that protect the door. 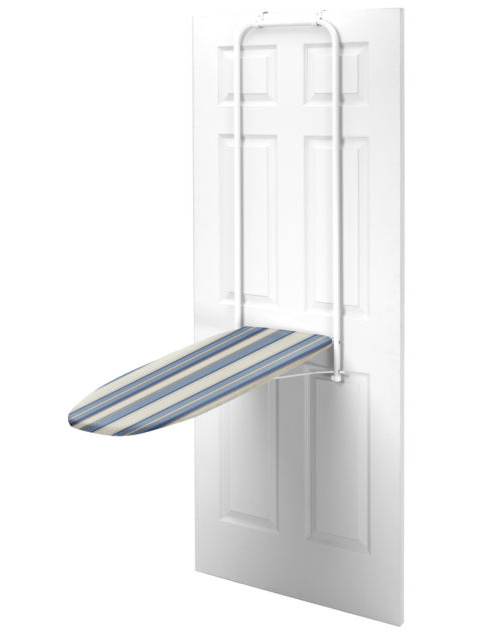 It folds up or down easily with a patented design that locks the board when in storage position. 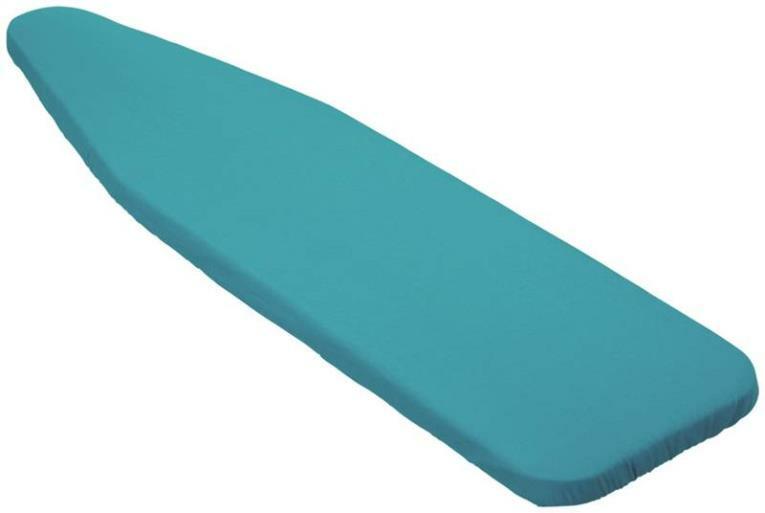 Board comes with a 100% cotton cover an thick foam pad. 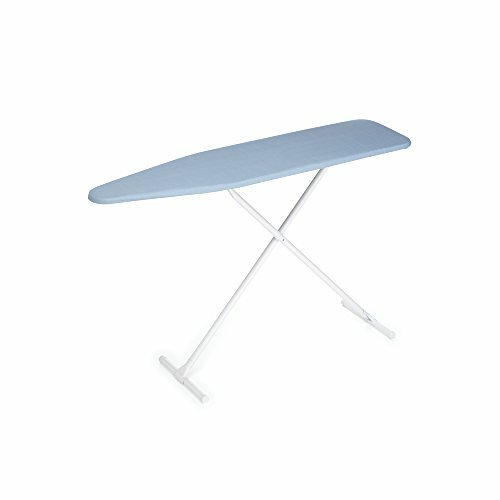 Homz Over-the-Door Ironing Board is Proudly Made in the USA. Tan colored This item cannot be shipped to APO/FPO addresses. Please accept our apologies. 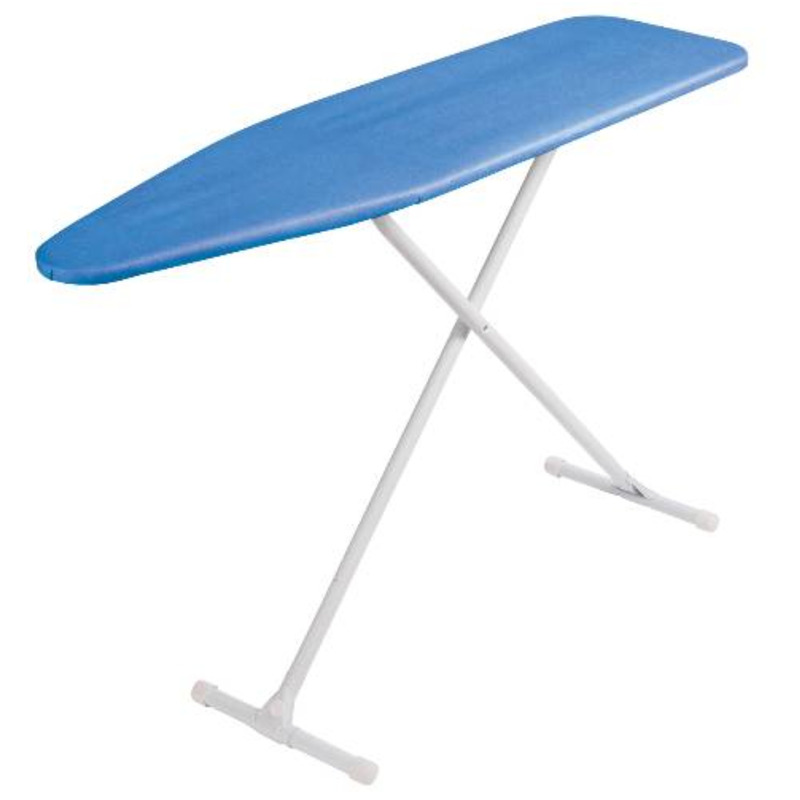 Homz 4-Leg Ironing board has a 54" x 14" mesh top for improved steam flow. Featuring a fully adjustable height up to 36.5" 4 Leg design for added stability and an easy release lever to fold down for secure transport and storage. 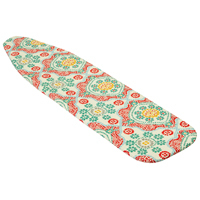 Board comes with a 100% cotton cover and foam pad. 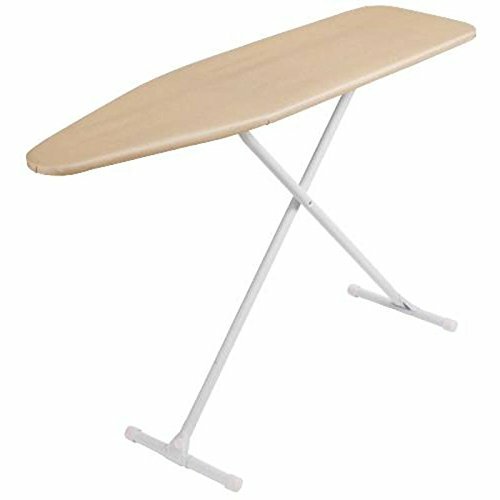 Homz 4leg ironing board is Proudly Made in the USA. White Legs; Yellow and Grey Striped Ensemble. This item cannot be shipped to APO/FPO addresses. Please accept our apologies. 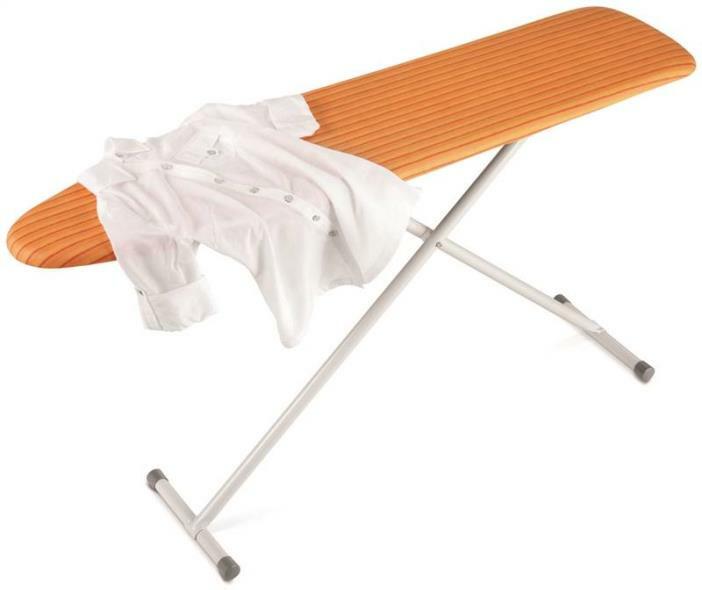 The Durabilt Premium Ironing Board provides the ultimate ironing experience. 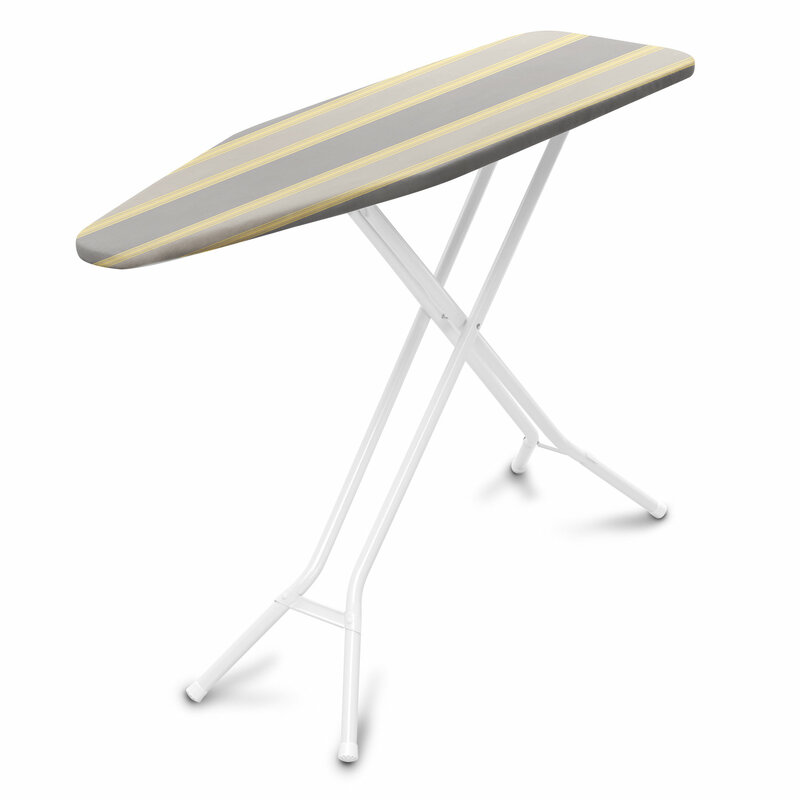 The board has a fully adjustable height to 39.5" and the legs expand up to 25" wide for added stability. 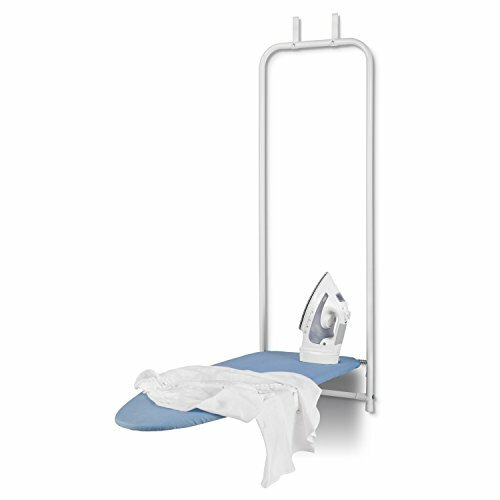 The iron rest features silicone pads to dissipate heat angled support to prevent steam flow when not in use and an integrated garment hanger for pressed clothing. 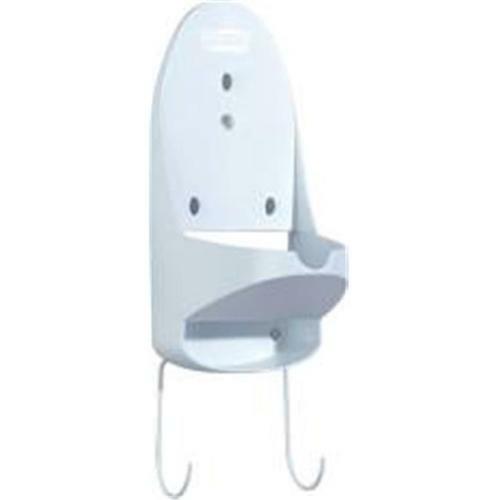 A quick release paddle makes opening the ironing board a cinch and a convenient carry handle makes it easy to transport. The luxe cover and pad are offered in a stately gray and orange color scheme. Legs compliment the board with a platinum finish. Grey and Orange. This item cannot be shipped to APO/FPO addresses. Please accept our apologies. Homz T-Leg Ironing board has a 53" x 13" perforated top for a solid ironing surface. Featuring a fully adjustable height up to 35" riveted and durable T-leg design plus an easy release lever to fold down for secure transport and storage. 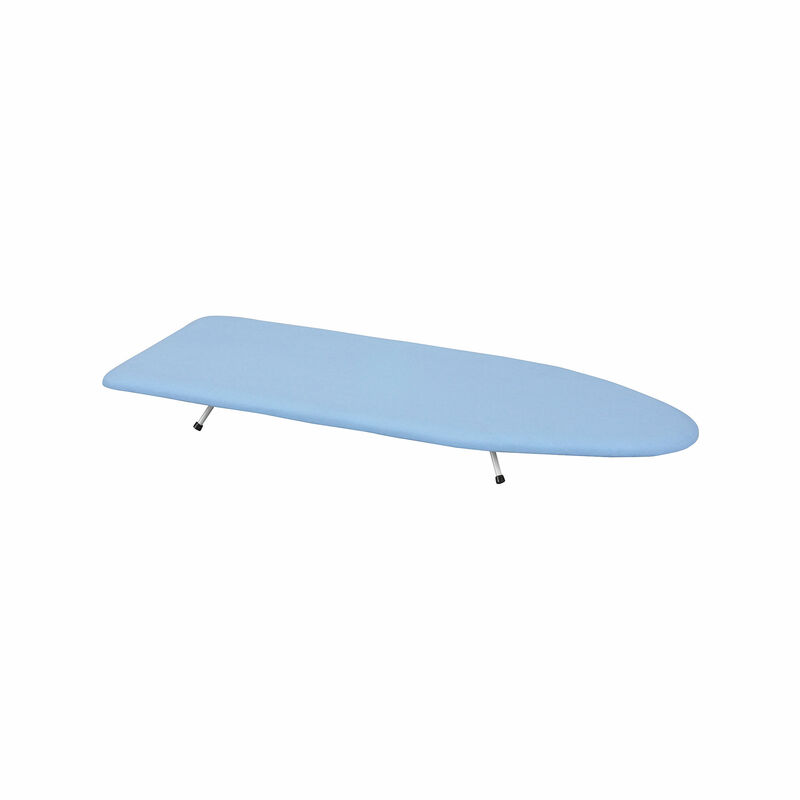 Board comes with a 100% cotton cover and foam pad. 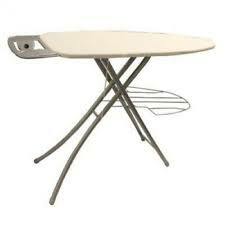 Homz Tleg ironing board is Proudly Made in the USA. White Legs; Blue Ensemble. This item cannot be shipped to APO/FPO addresses. Please accept our apologies.